The oldest trophy in sports is known as The America’s Cup – celebrating the fastest in yacht racing around the world. It is also unusual in that the winner gets to set the rules for the next go around, as well as the location, so it is tough being a challenger. To be the winning challenger, as only one can challenge the incumbent at a time, you first have to win the Luis Vuitton Cup. If you know anything about fashion and style at all you know who Luis Vuitton is. 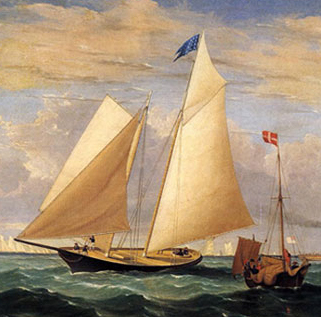 But did you know that the first US winner of the US vs UK yacht race was a schooner called America? And back in Queen Victoria’s day she rested the cup from mother England – who have never won it back since and are stuck with it being called The America’s Cup – after the name of the winning boat.